Dr. Gonzalez is a board-certified radiologist originally from Cuba. He completed his undergraduate degree in advanced chemistry from Kean University in Union, NJ. Subsequently, he obtained his medical degree at Rutgers Robert Wood Johnson Medical School, New Brunswick, NJ. 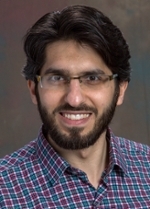 Dr. Gonzalez then pursued his radiology residency at University of Maryland Medical Center, where he gained broad expertise in all radiology subspecialties, and was recognized with an award for his dedication to research and teaching of medical students. Following residency, Dr. Gonzalez further subspecialized in musculoskeletal imaging and intervention at Thomas Jefferson University. While there, he trained under nationally recognized leaders, including Drs. William Morrison and Adam Zoga. He developed a particular interest in sports imaging and injuries, having been involved in diagnosis and treatment of professional athletes, including those in the NFL, NBA, MLB, NHL, and Olympics. He also trained in musculoskeletal ultrasound with Dr. Levon Nazarian, a leader in the field. 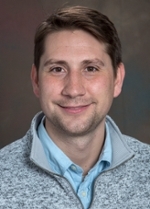 Dr. Leatherday is a postdoctoral fellow working on MR brain imaging with a focus on functional connectivity, chemical exchange saturation transfer, and arterial spin labelling. He earned both his PhD and BSc from Curtin University, in Perth, Western Australia. 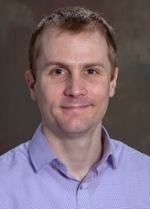 Prior to joining the department, he worked at Royal Perth Hospital as a diagnostic imaging medical physicist for four years. He is excited about the “opportunity to collaborate with researchers from a diverse range of professional disciplines,” and “hopes to add to the strong research already produced by the MRI lab.” He’s a “keen (but not very good) golfer” looking for playing partners. Dr. Pectasides is a board-certified abdominal radiologist, with medical training in both Europe and USA. Before joining Emory, she served as assistant professor in Abdominal Radiology at the University of Maryland. Her clinical interests include diagnostic imaging of the abdomen and pelvis, and image-guided interventions. 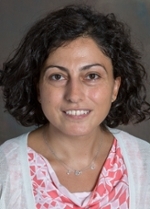 Building upon her prior experience in cancer translational research, Dr. Pectasides’ current research efforts are focused on MR imaging biomarkers for evaluation of treatment response in abdominal and pelvic malignancies. Dr. Pectasides earned her M.D. from the University of Athens School of Medicine in Athens, Greece. She completed a radiology residency at Attikon University Hospital in Athens, Greece, as well as fellowships in abdominal imaging and Intervention, vascular imaging and interventional radiology, and NRSA T32 research at Boston’s Massachusetts General Hospital.